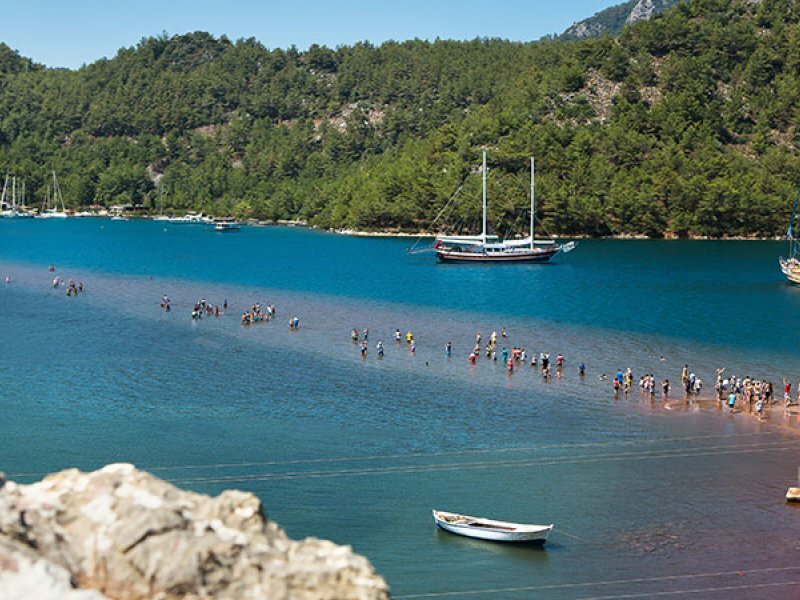 The natural wonders of Turkey’s Turquoise Coast are hardly a secret. So in high season, when its most popular resorts are bustling and summer parties are in full swing, you might want to escape somewhere quieter for the day, to find a beach or a bar practically to yourself. 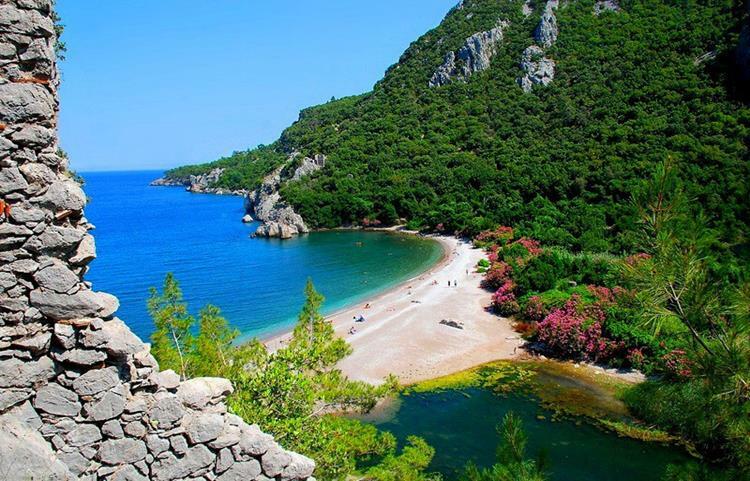 Here are five fabulous secret beach spots on the Turkish Riviera. 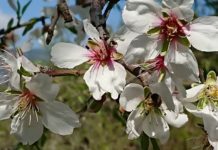 For a long time, the winding road along the spindly Datça Peninsula was so bad that Datça was practically off limits to all but those with yachts – and that’s precisely why it remains so unspoilt. 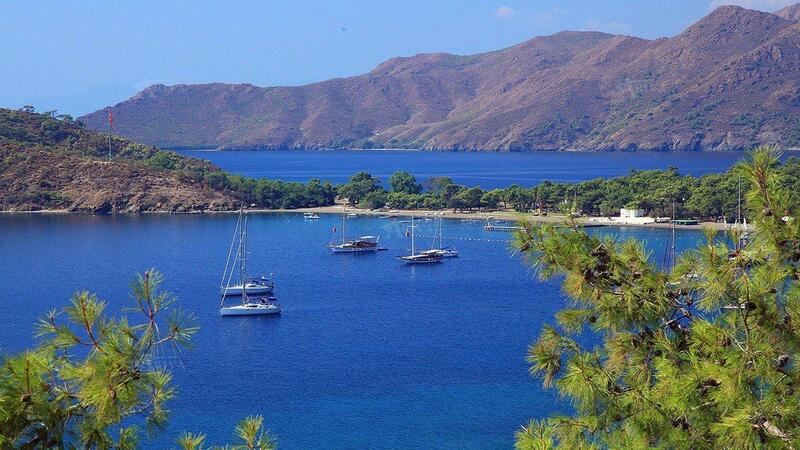 It’s still quickest and easiest to get there by sea; just hop on a boat across the bay from Bodrum. 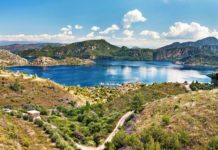 But now you can also take the scenic route through olive groves and pine-forested mountains for the 20-odd miles from Marmaris. Charming Old Datça (Eski Datça) has been smartened up in recent years, with chic bars, restaurants and boutique hotels – and the coast has beautiful bays. One of the loveliest is Ovabükü, set against a verdant backdrop. The most rustic of the resorts on the Bozburun peninsula west of Marmaris has no large hotels, no themed pubs and no grip on the 21st century. The former fishing village is on a mirror calm bay, a ribbon of crusty terracotta roofs on dusty lanes. Nightlife means a glass of aniseed raki after whichever fish restaurant took your fancy, then a moonlit stroll to bed. If you are looking to do nothing more pressing than rise late, sunbathe on dreamy beaches (Kumlubük is the region’s best), read and eat, you’ll fit right in. 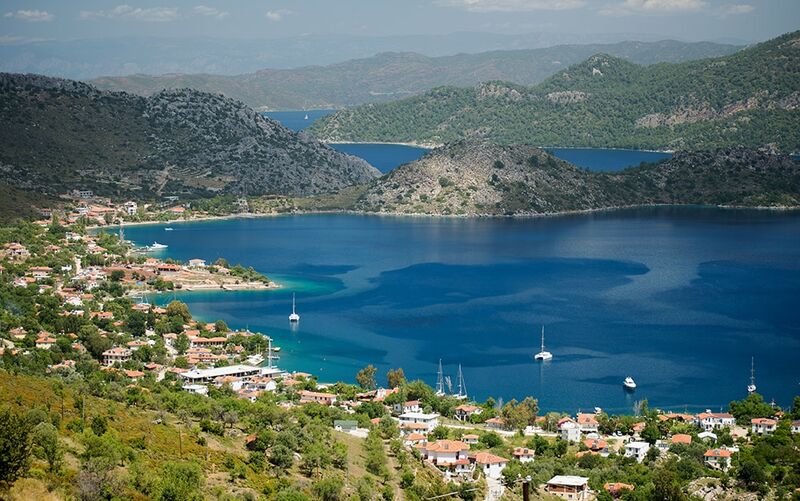 The mellow Bozburun Peninsula, nosing into the blue where the Aegean meets the Mediterranean, is a corner of Turkey that is somehow overlooked, though it’s not far from Marmaris and Bodrum. It was made for seafarers, with its sleepy fishing villages and gulet-building yards and its calm, beautiful bays. Swim at Orhaniye, a gorgeous bay of sapphire blue with a curious sand spit just below the surface, where you can walk as though on water. Afterwards, bag yourself a hammock at the back of the beach. Çıralı could be a whopper. Its two-mile beach is a scimitar of fine shingle wedged between rocky spurs. Ripe for commercialisation, then. 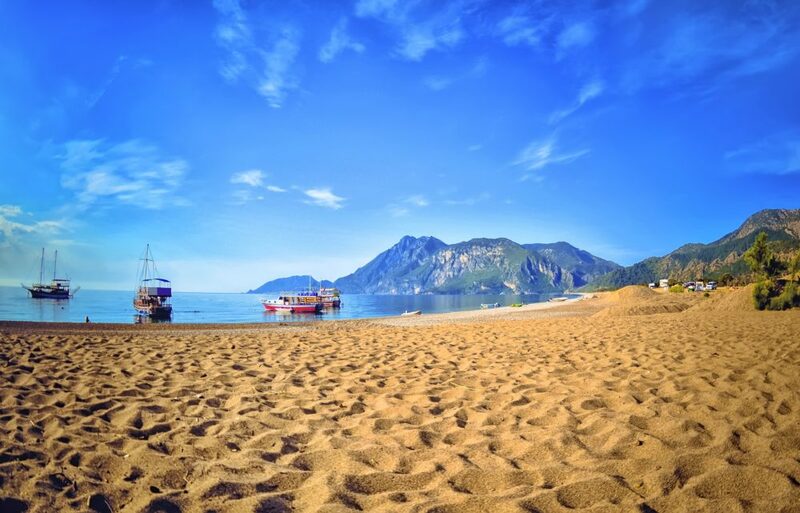 But because loggerhead turtles lay their eggs here, development is forbidden – which is why Çıralı today is a mellow family resort that feels more distant than its hour from Antalya. That it’s a dead end helps. Largely car-free, verdant with citrus and pomegranate trees, Çıralıremains a place to potter: hotel, beach, restaurant, repeat. Magic. The ancients thought so too. They saw the natural flames flickering from rocks as evidence of monsters at nearby Chimaera. At the other end of the beach is ancient Olympos. Unleash your inner Indiana Jones among the ruins. 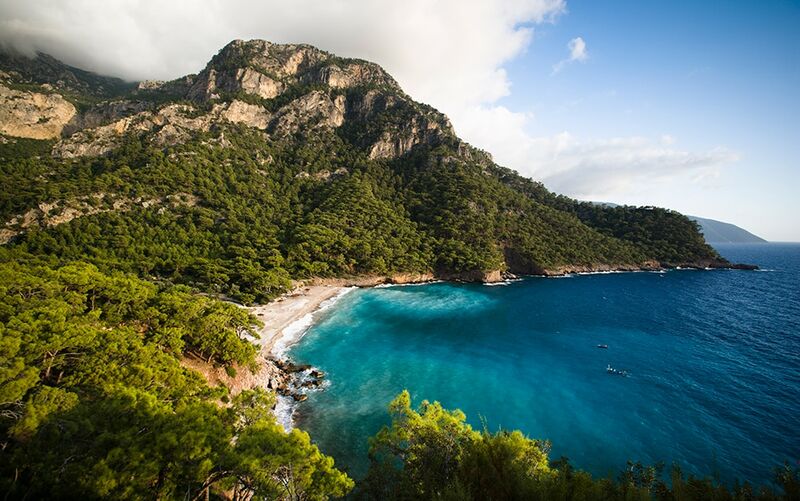 There’s not much to Kabak. Thank heavens for that. While boat taxis ferry day trippers from Fetihye to Butterfly Valley, Kabak, the next cove south, cradled by craggy, pine-cloaked hills, retains a soulful off-the-radar atmosphere: reed-roofed shades on the beach (beautiful, incidentally); a few cafés selling homemade food; some lovely, simple accommodation. That’s about it. Access is on a dirt road. You could cajole a taxi driver in Ölüdeniz to go. More satisfying is to walk in on the Lycian Way from Butterfly Valley. Over three spirit-soaring hours, crowds fall behind and the scenery takes over. Your reward afterwards? A dip in cerulean seas. Bliss. Turkey is a diverse country with stunning beaches, great food, spectacular scenery, ancient history and nightlife to suit all tastes. Jet2holidays flies direct to the three Turkish coastal gateways of Antalya, Bodrum and Dalaman from nine regional airports across the UK and offers a range of full packages to suit all budgets, including hotel, flights, transfers, 22kg baggage allowance and rep service.